It is a huge blessing to be able to study the Bible in its original languages. There are connections you can make that aren’t always as obvious in English translations. There is a temptation to take the results of studying the original languages dump it all into a class or sermon. There are a lot of reasons that is tempting. Some are harmless reasons but others are harmful. It is easy to assume that everyone finds interesting the same things we do. They may not. It is also easy to assume that digging deeper requires increased complexity. It doesn’t. An effective preacher will have discretion on which things support and clarify the point and which things are distractions that muddy the water. I appreciate the preacher who uses the result of studying the original languages sparingly but effectively. It takes a lot of wisdom to know when it is beneficial for the congregation and when it actually detracts. There are two things I really like about Chapell’s statement. The first is that he uses “erudition” and “exegetical” in a statement about making things easy to understand. The second and more important point he makes is that everything that is communicated in preaching should be aimed at increasing the listeners’ understanding of Scripture. It is not about sounding clever. It is not about being funny for humor’s sake. 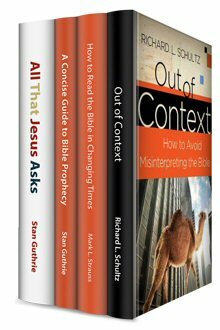 It is making Scripture accessible, understandable, relevant and applicable. For those of you who preach and teach, do you make use of the original languages in your study and your preaching/teaching? If so, how often do you do it and how do you determine what to include and what to leave out? What Is God Waiting For? In Judges 10 the people have rejected the Lord and chased idol after idol. 18 years of oppression and their hearts were so hard that they still hadn’t repented of their sin. When they finally do, God tells them that he isn’t going to help. Instead, they need to ask their idols for deliverance. Then the people get desperate. Judges 10 tells us they finally got serious and paired their cry for deliverance with personal action and responsibility…they finally put aside their idols. How did God respond this time? The Bible says God responded “with impatience over Israel’s misery” (10:16). 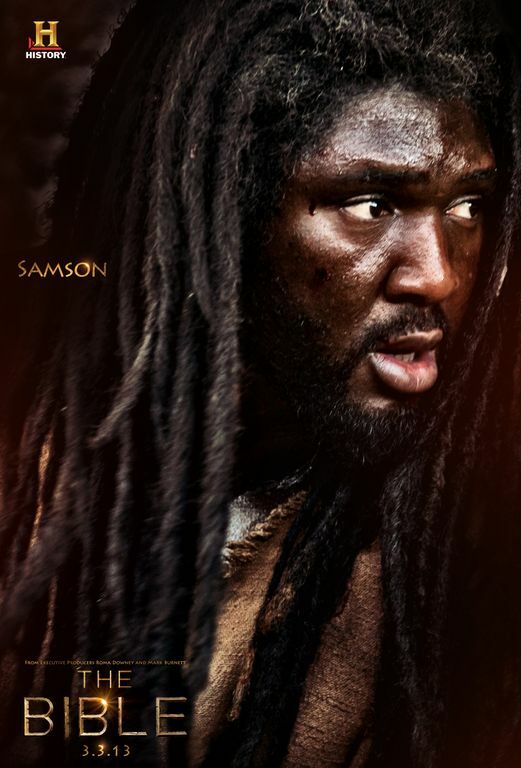 That was when God’s heart and attitude toward his people turned. Sometimes we ask “What is God waiting for?” The answer may be that we aren’t really ready for Him to show up yet. We cling to our idols, as if they have anything to offer. In those times, God is unwilling to show up because He doesn’t really have our trust yet. We talk like He does but He knows the reality of what is in our hearts and it doesn’t line up. So God waits until it does. If you want God’s deliverance, it often takes action on your part and more than just a cry for God’s help while keeping a few idols in your back pocket for comfort. Deliverance comes to the repentant and true repentance comes through complete and unequivocal trust in the Lord. I love it when God gives you the confirmation you need. He doesn’t really confirm every detail but He gives you enough to let you know His hand is in something. Maybe it is that other person who has the same idea at the same time and everything fits right together to where your efforts in ministry are multiplied like they never have been before. Other times God gives you a sense of peace about something. Still other times it is the opposite…God really unsettles your spirit about something. You can’t assume that God is going to do it the same way twice. God works in whatever way He needs to in order to help us follow the ways of Christ. It isn’t easy. It is challenging. It is risky. It is also worth it. I love when I get a glimpse of confirmation from God, a reminder that He is right in the middle of my issues guiding, leading and blessing it all. Last, I am not talking about superstition here…like asking for God to send you a sign and you see a billboard along the highway that has a word in it that you think is the Lord trying to speak with you. If God is that poor of a communicator we are all in trouble! I am talking about prayed out, fasted up, scripture-aligning confirmation from God that convicts you of what God wants you to do. ACU Summit 2012 Videos Are Up on Youtube! 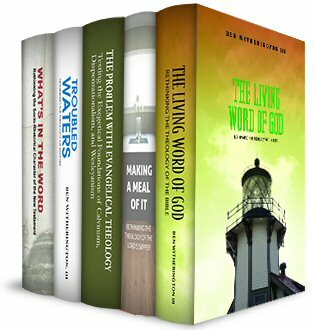 I am sure many of you will enjoy watching everyone from Randy Harris to Walter Brueggemann…Enjoy! 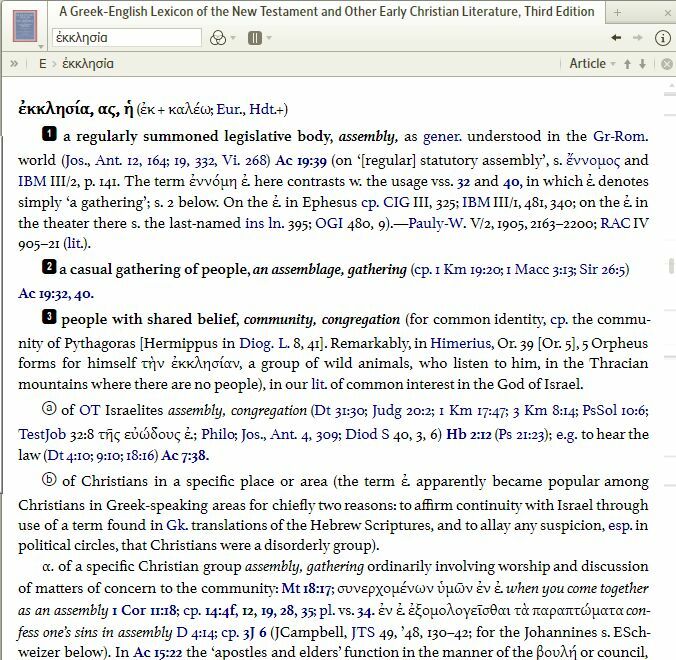 I have owned a hard copy of A Greek-English Lexicon of the New Testament (BDAG) for the last 8 years and it has been an invaluable resource on my shelf. There just isn’t any other lexicon out there with this amount of detail and accuracy. It has been my “go to” resource for Greek studies. I am going to talk about the hard copy and then about what Logos has done with it to take this resource to the next level. Even if you already have the hard copy, I think you will be very interested to see what they have done to make it ever better. The hard copy retails for right at $100 on amazon. This book contains every single word used in the Greek New Testament listed and defined in alphabetical order along with a whole litany of pertinent information that will assist you in your studies, preaching, teaching, etc. Here is a list of the most common things listed under each entry. 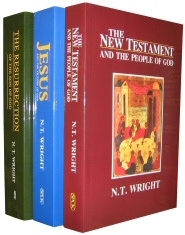 – Every NT occurrence of that Greek word categorized under what they interpret it to be the appropriate definition, relevant extra-biblical usage of the word with a citation so you can go look that up, sometimes a Hebrew equivalent is given. In the Logos version, you get all of the functionality that I just described in addition to some features that make BDAG a whole lot faster to use, much more user friendly and interactive with other Logos resources. Here are some of the things that I thought were extremely helpful. One thing that stand out about Logos’ version of BDAG is that it is way more than just a digital/pdf version of the hard copy. 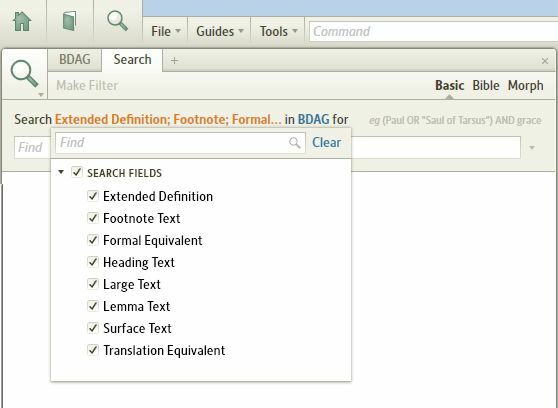 There are tools they have included that have increased its functionality and integrated its search features that have saved me countless hours of searching.thate that takes BDAG above and beyond just taking the print version and making it digital. Now, let’s say you want more information on a Greek word that is in the text. You can search your other resources for that word by right clicking on it and then selecting the search option you want. Those search results demonstrate another great feature. 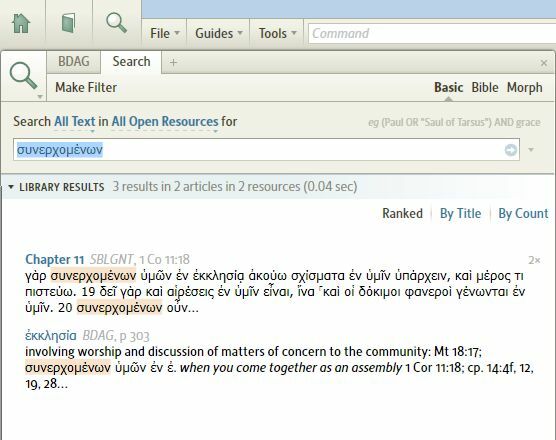 I had my SBL Greek New Testament open at the same time and as you can see the only time that word is used in the GNT is in 1 Cor 11:18. If you double click the word in the text and it is in its lexical form, say you clicked και or θεος it would take you straight to that entry in BDAG. Then you just use the “back” arrow at the top right of the window to get back where you were in your study. BDAG integrates with many other Logos products. 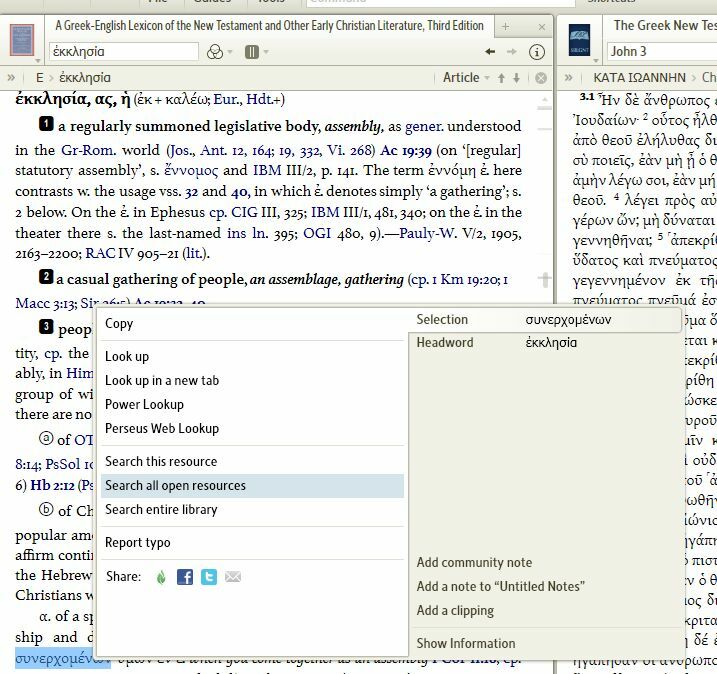 Let’s say you are reading your SBL Greek New Testament and you want to look up a word in BDAG. You just double click the word and you are on the word in the full text of BDAG. I cannot tell you how helpful that is. What is more, if you download the free Logos App you can do this on the fly away from the office. I was listening to a sermon the other day where three Greek words were mentioned in a specific verse. I got out my iphone, opened the Logos app, pulled up the verse in the Greek NT, clicked the words and had them in BDAG right in front of me. On a side note, you cannot click words that have been transliterated and get the same result. For instance, Ben Witherington almost always transliterates his Greek words so the words aren’t in a Greek font. You cannot click those and end up in BDAG as it is not integrated with transliteration. I am still playing with the features but have really appreciated what I have found. The thing that will make this interesting to many of you is that I have found this helpful and fast enough that it has renewed the amount of time I spend in the Greek New Testament because I can get to what I need quickly and easily. I want to wrap up the review by thanking Logos for allowing me to have a copy for this review. Do you know when God responded gracefully to Gideon in Judges 6? It was when Gideon said he wouldn’t be able to deliver the people because he was the least person of the weakest clan from among his people (6:15). God has a way of sorting these things out in ways that remind us that he is in charge, not us. So rest in the grace of God and find your peace there.